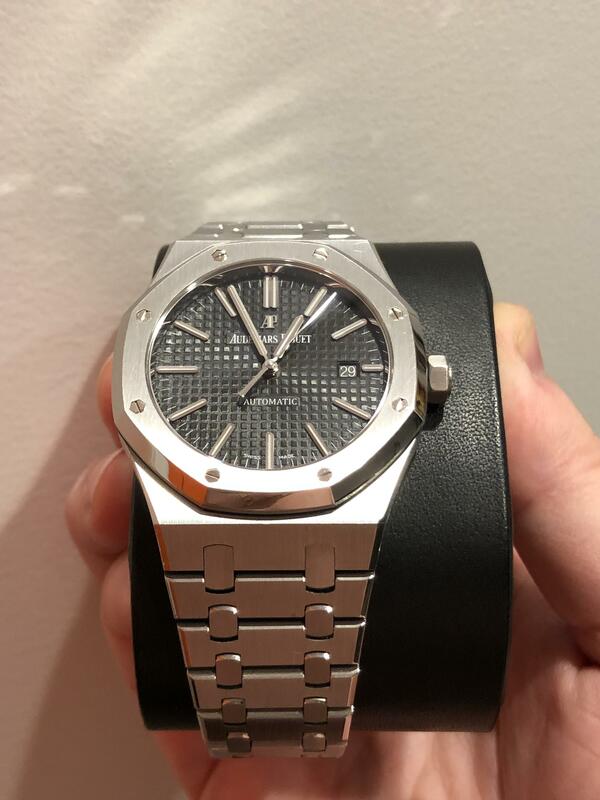 Helping a friend find a new home for his Royal Oak. Piece is 98%+, with barely any signs of wear, complete box and papers from an AD. Piece runs excellent, within a few seconds a day. Asking $19,000 OBO. Preferable pick up or viewing in NYC. Lots of references available, I have sold and bought quite a few pieces here. If you have any questions or need any more pictures, feel free to ask! Link to pictures below.